Needless to say, the options available to you when it comes to putting together a wreath for Autumn are pretty much endless. When it comes to colours, lean towards warmer shades such as orange and brown (avoiding bright red to ensure you don't accidentally create a Christmas wreath). Splashes of metallics are the quickest way to turn what looks like a wooden wheel, into something much more special. Personally, I opted for gold and copper, though I can imagine how gorgeous rose gold could have looked nestled somewhere amongst the leaves! As much as I wanted to release the entire can of gold spray onto the wreath and marvel at how sparkly it looked, I kept the gold metallic spray to just one set of the artificial flowers and spaced them evenly around the wreath. Though before doing so, I laid the foundation of the wreath. By this, I mean pieces such as natural leaves and large dried hyacinths - anything that will help create that 'chunky' end result. 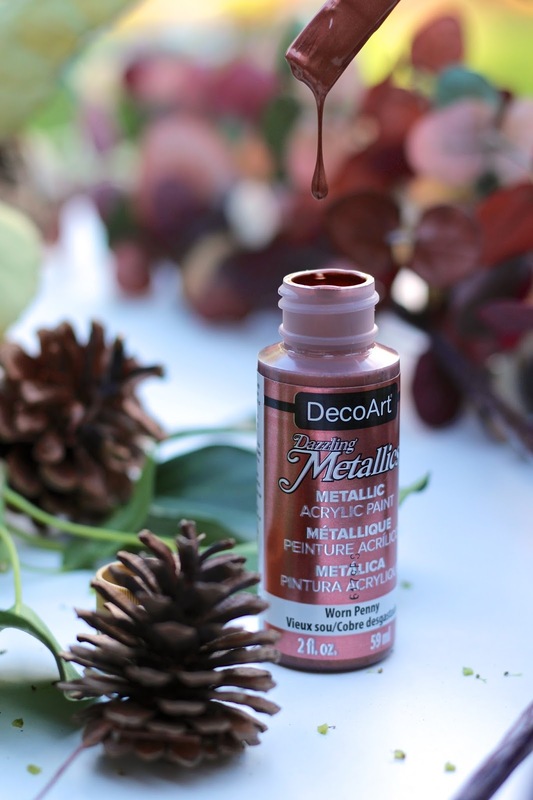 My favourite part of the process was undoubtedly dipping into a brand new pot of metallic acrylic paint and carefully covering each and every dip in the trio of pine cones I'd gathered. Not only is it therapeutic, but the end result is undeniably dreamy - can I dip myself in Worn Penny?! I've said it before and I'll say it again - I love any reason to celebrate! Right now I'm celebrating Autumn and all the cosy jumpers and brown leaves it's bringing with it. I'm ridiculously pleased to have finally got around to creating an Autumn wreath; I guess the beauty of it is there's no set rules for how your wreath should look. Most elements can be found in your own garden and you just keep going until you're happy with the results! Note: Some content within this post has been sponsored, however all opinions are my own. Omg ! You did a great job with the wreath , and i love the arrangement of the tools you used too. Lovely Jumper. There's a surprise for you on my blog , so hope you can check it out . Have a lovely day Gorgeous. Love this, it is so well made!! Your wreath looks beautiful. I think I'll try it out not only because it's so pretty but also, looks so fun to make. You look absolutely perfect darling. Your photos are beautiful,too. Oh gosh. I must say that you're very talented, Gabrielle! Indeed, autumn colors are fantastic. You did a wonderful job! 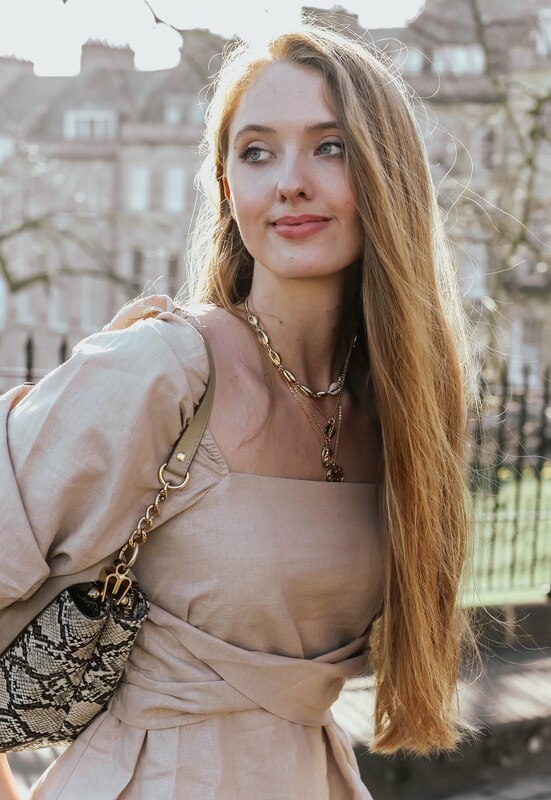 :) Anyway, I hope you could check out my two recent outfit posts. Hope to hear from you soon! I haven't tried creating one, but yours looks gorgeous. Need to try this DIY. Oh I love it!! It looks so gorgeous Gabrielle! So lovely! It makes me feel like Autumn is here! You've done a smashing job of this my beauty! You really are talented. I've bookmarked this as I want to make something like this for my hallway! Your wreath came out beautifully Gabrielle! Autumn colors are some of the prettiest and this is such a lovely way to highlight them! Wow, Gabrielle, it came together so beautifully! I love the colors you chose, they really do create the fall season vibe. I'm also loving those pretty cashmere jumpers you've shared here, all are so pretty and would look amazing on you, especially the pink and hunter green! Thanks so much for sharing such a wonderful DIY and I hope you're having a great start to your new month so far, gorgeous girlie! This post is just so aesthetically pleasing! Every photo is perfect and the DIY is really cute! Oh my actual goodness. First up, I adore every single one of these photos. Second, I love this post!! The end product is so cute, it's the sort of thing you'd find on really prestigious shop websites. You put so much time and effort into this, and it was so worth it as it looks gorgeous. Go you! What a lovely diy dear :) have a wonderful day !! Beautiful photos and you did a really great job there! I also love any reason to celebrate and this post gave me peace of mind..thinking about this amazing season,I really enjoyed it. Stunning - plus it would make an awesome gift too. That is such a great DIY and I applaud your dedication in creating your own. The finish result is gorgeous! OMG this turned out so pretty! Love love the photos! YES Gabrielle. You've revived my Autumn-loving heart all over again! Your wreath turned out better than anything you could buy, and you've certainly inspired me! 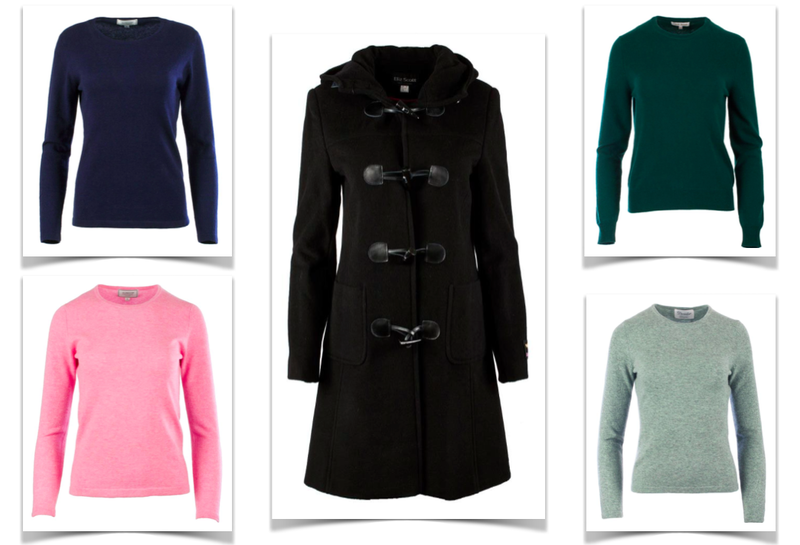 The cashmere sweaters sound lovely as well, of course! Can’t wait to see what other amazing ideas you have because I’m sure you’re full of them! You are one creative person! Love the autumn colors and jumpers are my weakness!! Oh my god it turned out so beautiful! I love this. I really want to spend more time on DIY projects in the near future! Autumn is a wonderful and colourful season and I think it should be celebrated by all of us. The DYI project you've made is absolutely wonderful. And your sweater looks so cozy! Oh my gosh! the colors are sooo pretty! I really love the effect of copper against earthier colors like browns and greens. It would have been difficult for me to resist painting the entire thing as well haha seeing this wreath reminds me of those days when I took a floral design class and made a bunch of wreaths for the sale! You made a fantastic wreath! It's so beautiful and perfectly reflects the current season's mood. How pretty + festive did this turn out? Love it, lady! Oh my gosh, I saw this all over Twitter and couldn't wait to see it in more detail! What an amazing job, Gabrielle! This turned out absolutely beautifully, I am so thoroughly impressed. Your photos are as gorgeous as ever...such wonderful detail shots! Oh I absolutely love this Gabrielle, Autumn is my absolute favourite so I adore this idea! Wow, looks beautiful and what a great idea for autumn!! What a gorgeous wreath and the flowers look really realistic, where did you get them from? Wow, this is so beautiful! Well done! I love diy's and I usually make plenty of them for Christmas but i haven't thought of doing dome for fall too! Domestic, stylish AND crafty?! There is nothing you can't do. Super girl! I have never tried making my own wreath before. I usually take the lazy girls way out and just buy one if I have a hankering to hang something on my door. This does seem like a fun and relaxing project though. I particularly loved the color palette you used because it is not your typical autumnal colors you see like orange, rust, and burgundy. WOOOOOOOOW.... This is Creativity at its peak. beautiful colours you'v got there. Nice blog. You said it, dear! Let's celebrate! I love the idea of using every reason to celebrate. I'm all in for celebrating the arrival of Autumn....I quite enjoy seasonal changes and when it comes to Autumn I always found it to be a very inspirating time. Your DIY wreath is gorgeous! I love that paint you used to decorate it...such a perfect shade. You really did a fantastic job. Crafts are always fun, aren't they? I always find this type of work to be therapheutic...and what is more with this type of project we end up with a beautiful home decoration, so really it is a win-win situation, isn't it? Lovely photographs as well...you always look very pretty. This is so nice! Well done dear! OMD darling you know I love this kind of stuffs! *-* Stunning result! 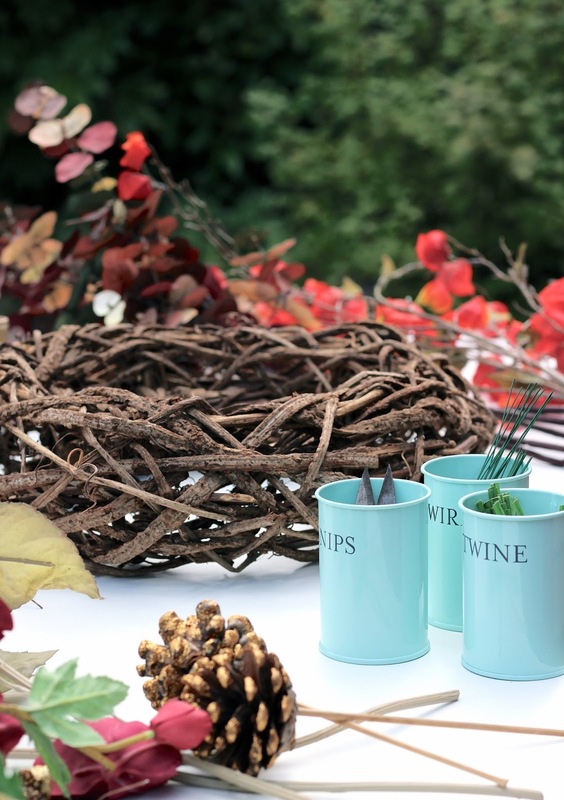 I'm planning some new autumnal diy project and I'm so excited! I'd honestly never think to make something like this but it's beautiful! What a beautiful way to celebrate autumn - love the colours you have used. It looks absolutely stunning! 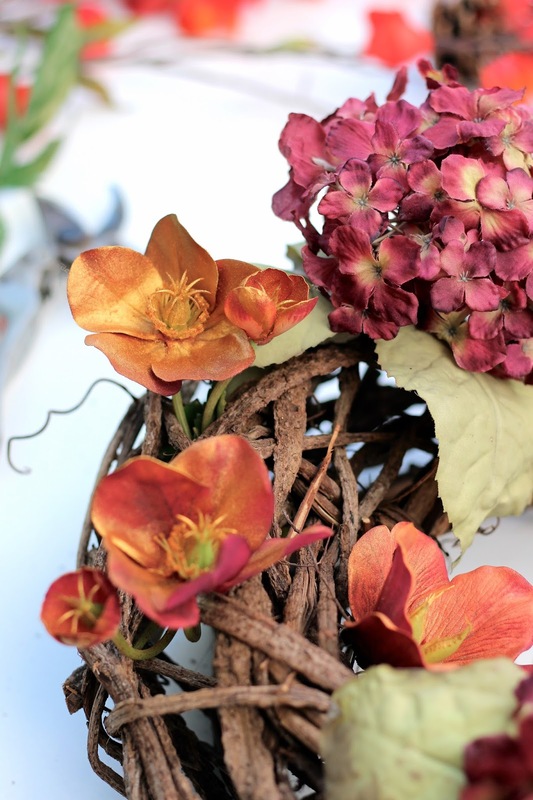 I adore copper - this wreath is so beautiful! I would definitely hang that on my door :D Please make me one! Haha. The wreath looks amazing, Gabrielle. I am so impressed! You are so creative, it looks fabulous. I just love all the Autumn colours! oh wow never even thought about DIY-ing a wreath. You did an amazing job, it looks really beautiful. Oh such a fantastic work. I want it. This is incredibly beautiful!! The perfect autumn wreath. Such a beautiful DIY, hunnie. 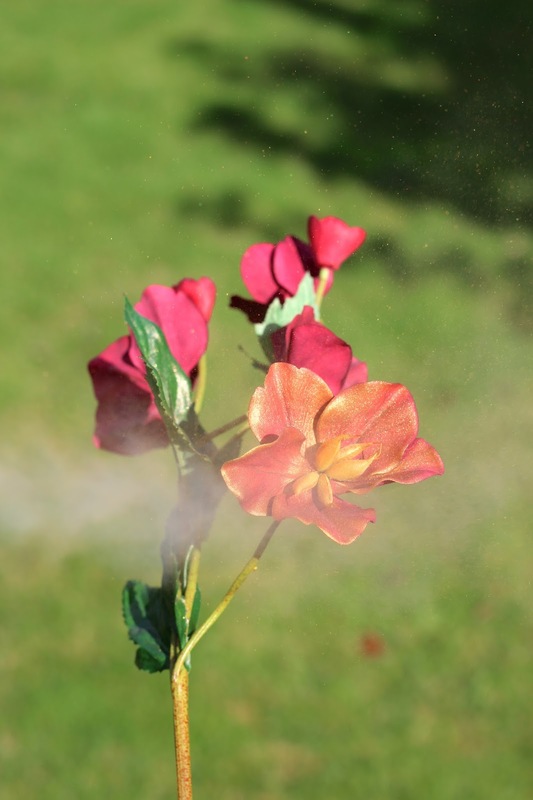 Love the idea of spray painting the flowers to make them beautiful and golden and painting the pine cones. The photography for this DIY post was stunning!! So well presented and aesthetically pleasing :) You're one creative gal, lovely!! That's really beautiful! I love your DIY tutorial! Will probably try this if not now, but for Christmas? This flowery wreath looks so pretty!